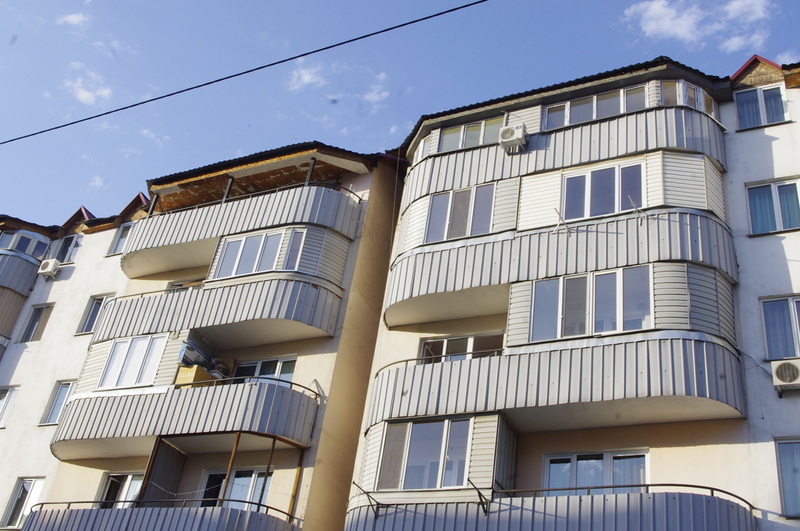 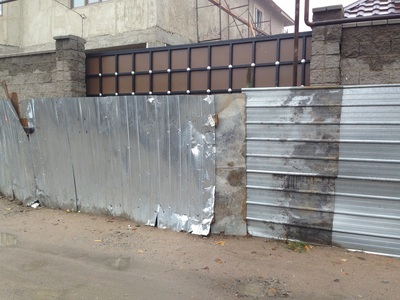 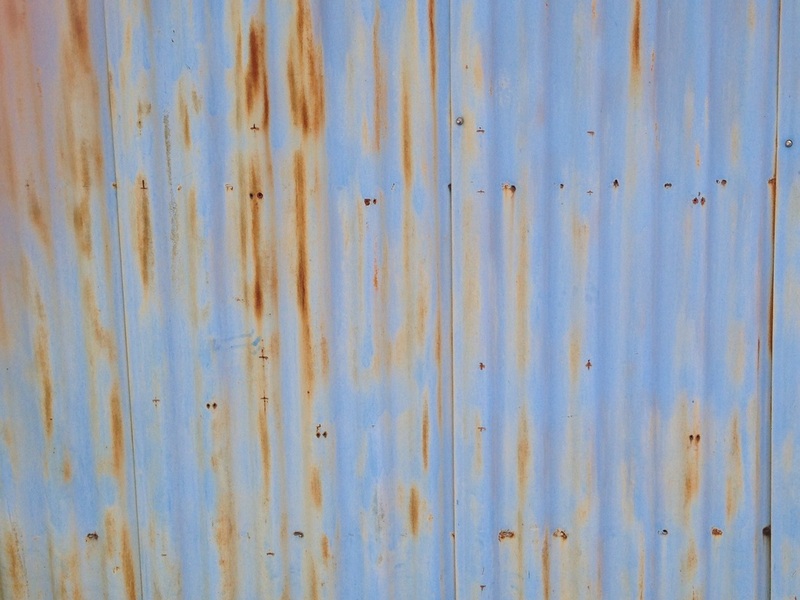 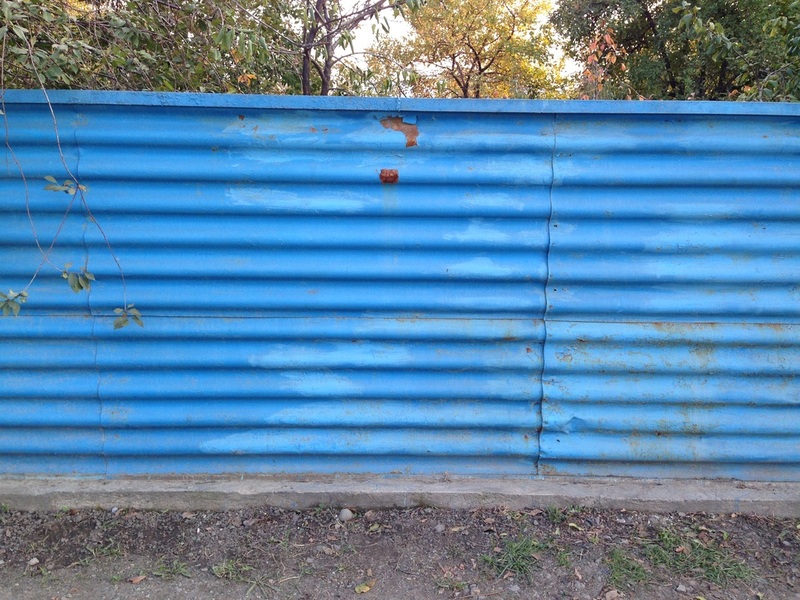 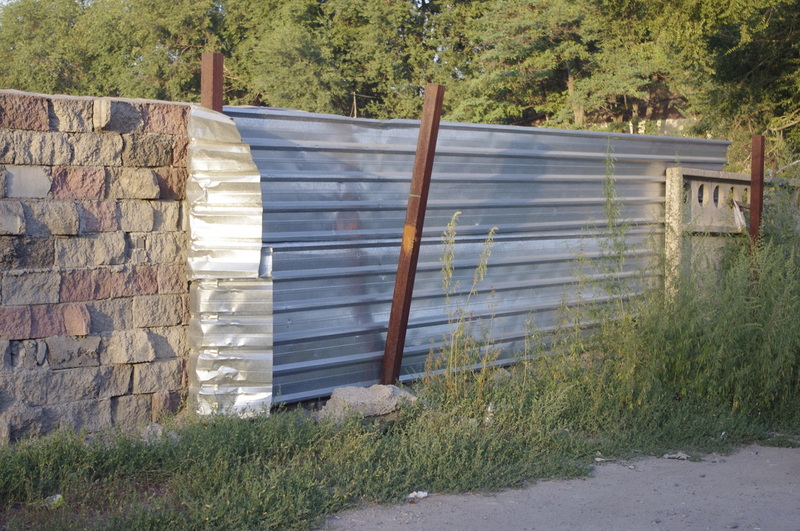 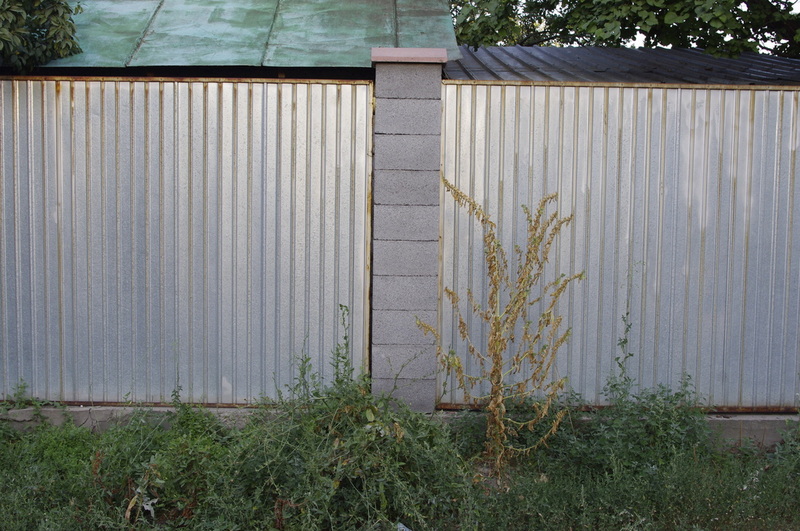 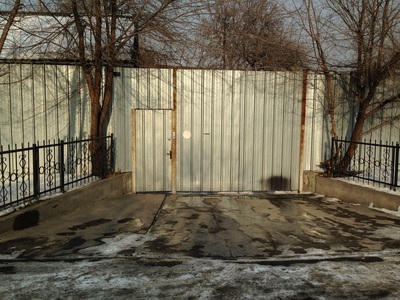 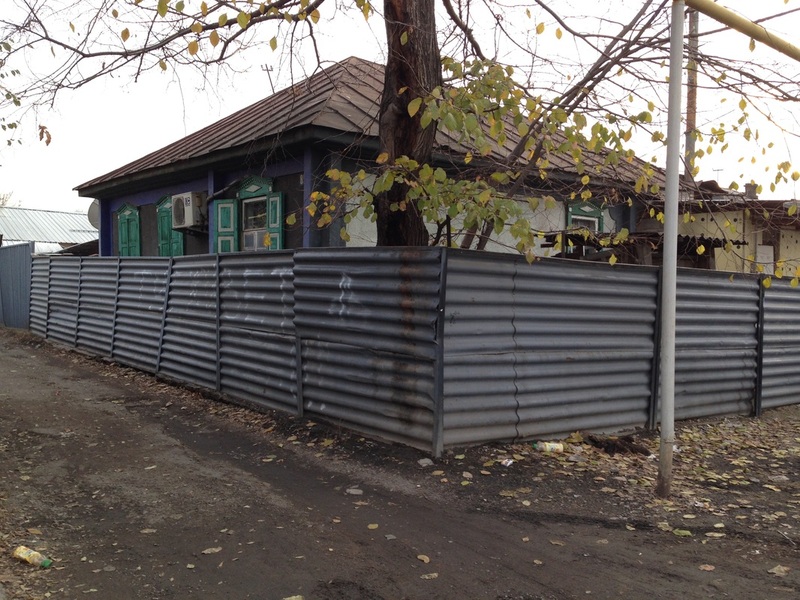 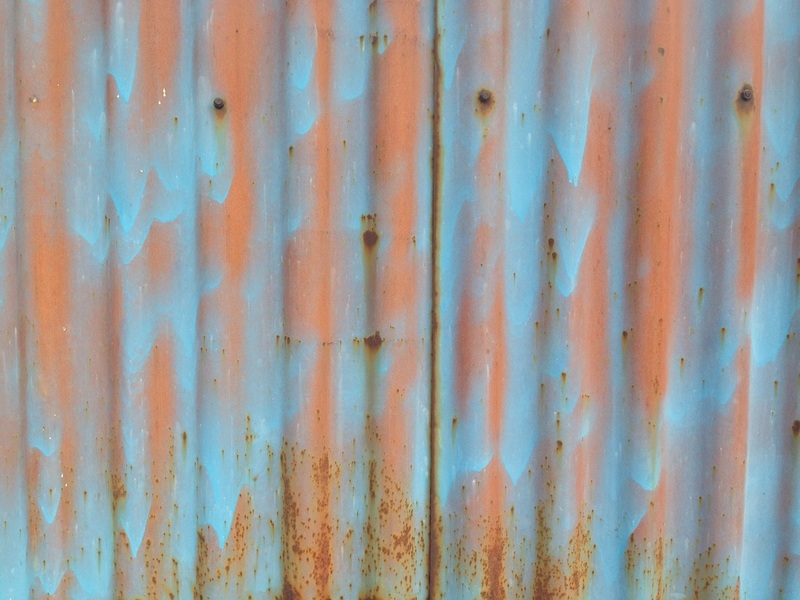 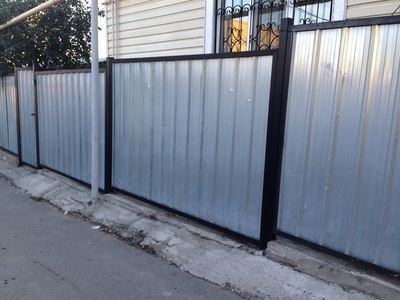 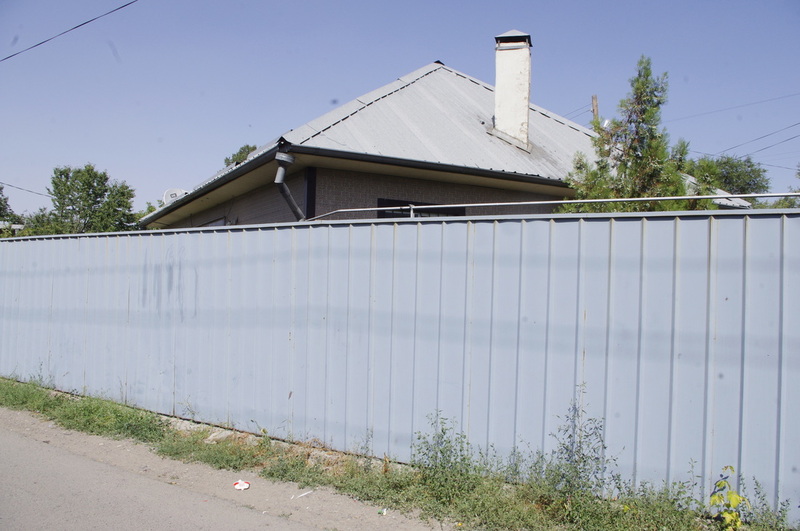 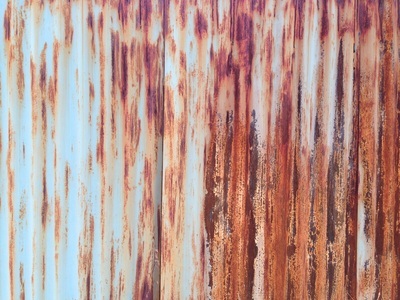 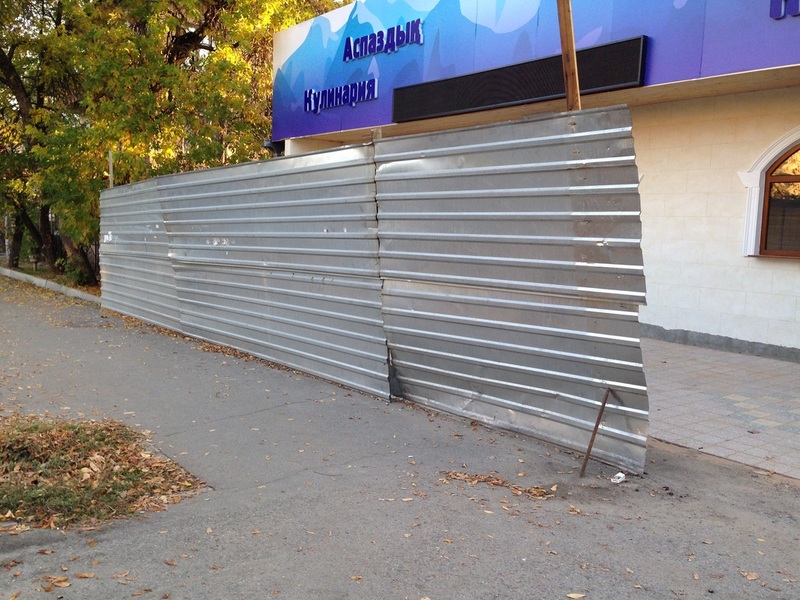 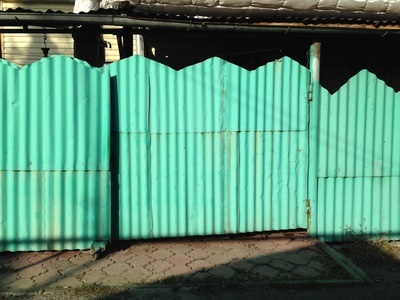 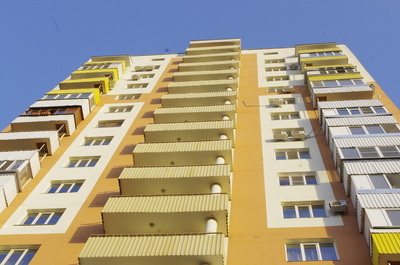 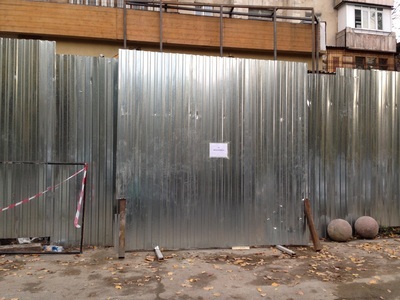 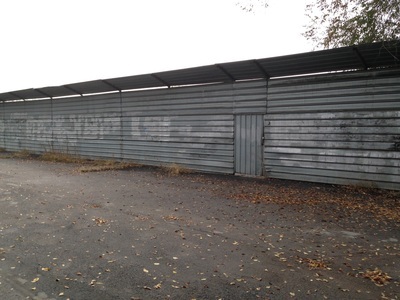 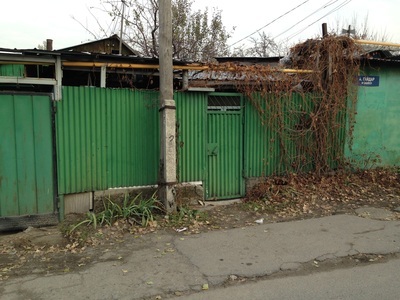 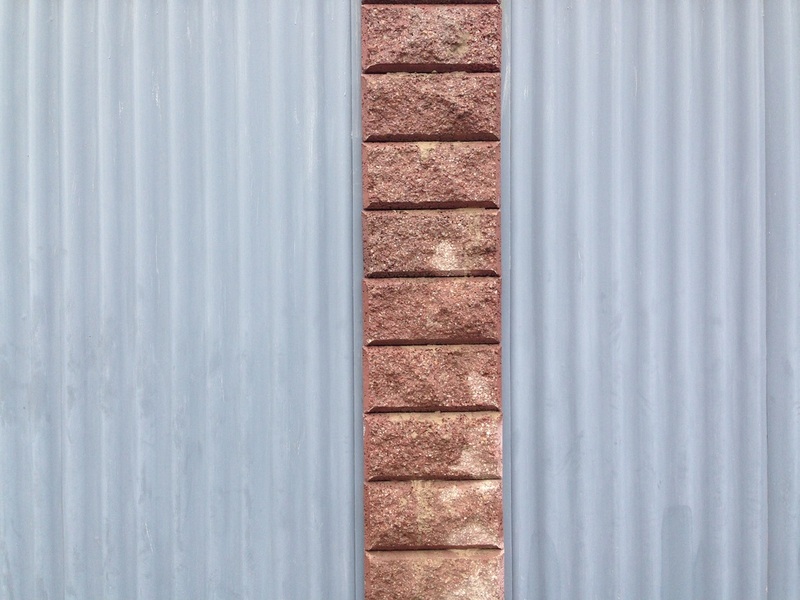 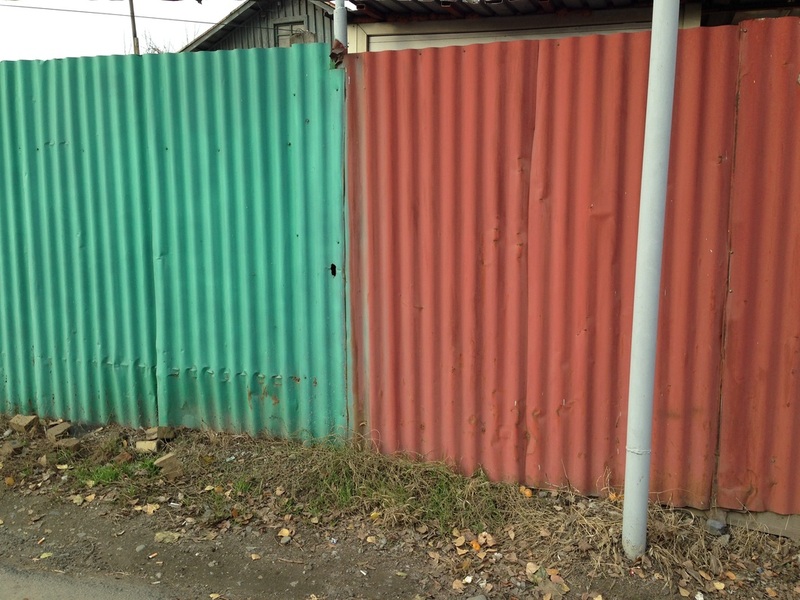 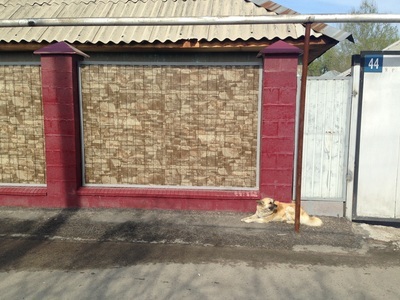 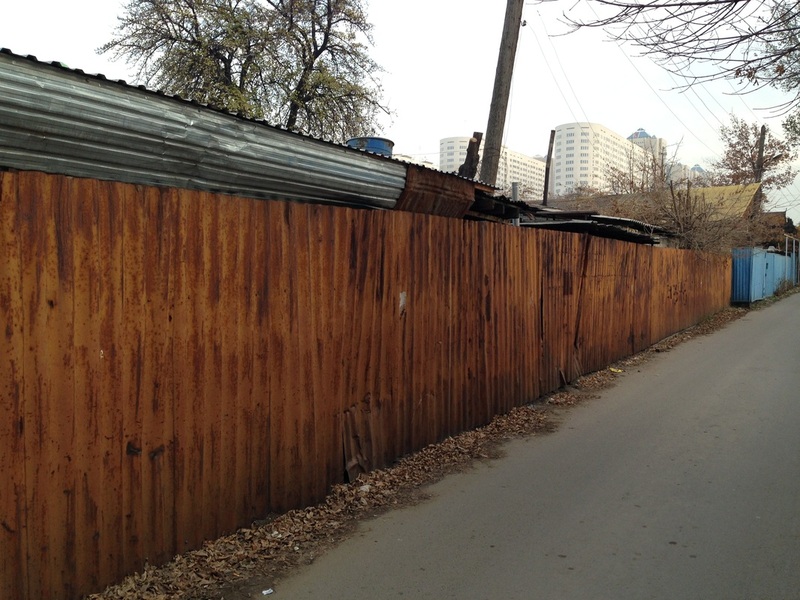 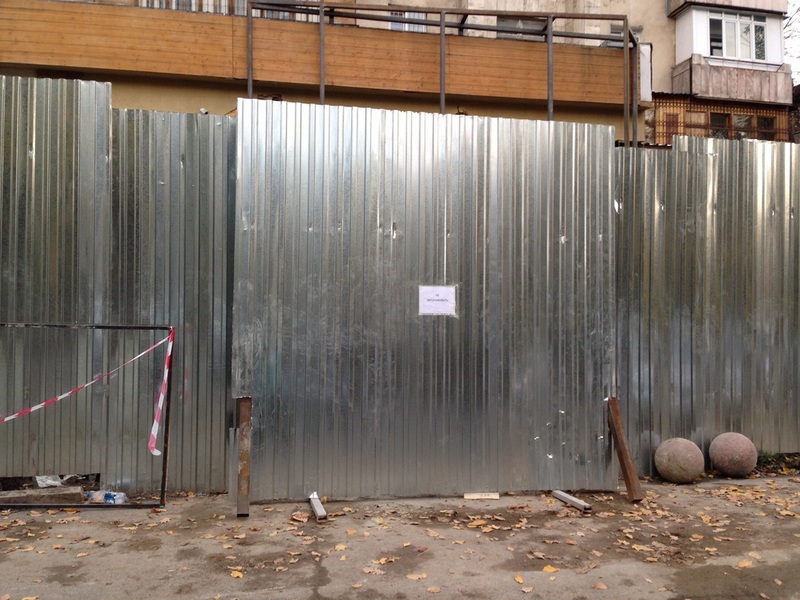 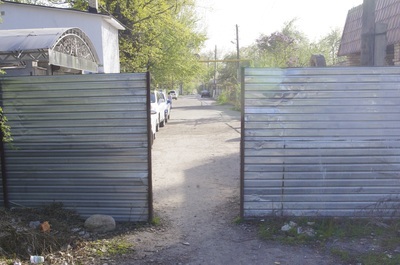 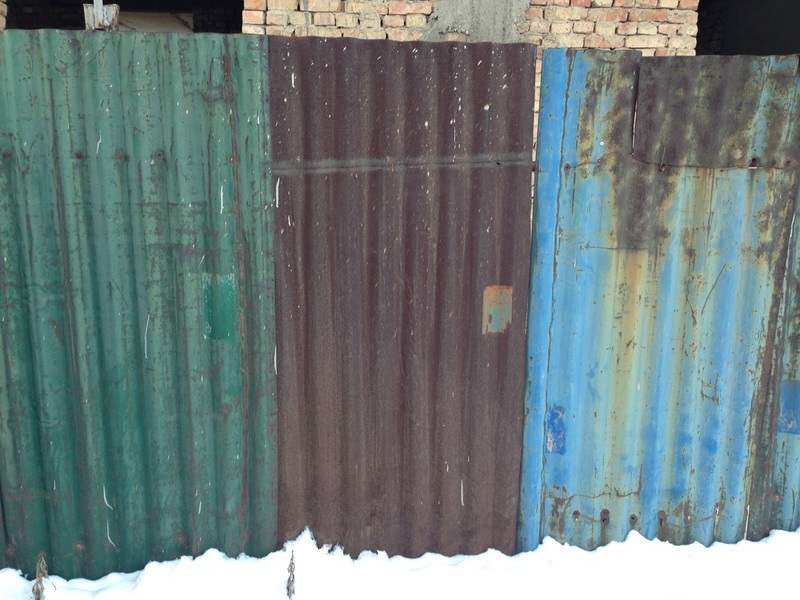 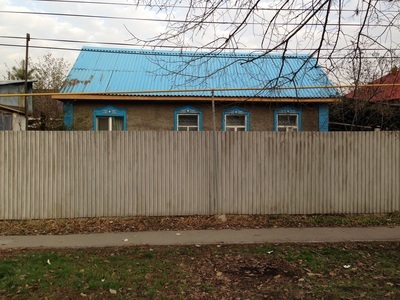 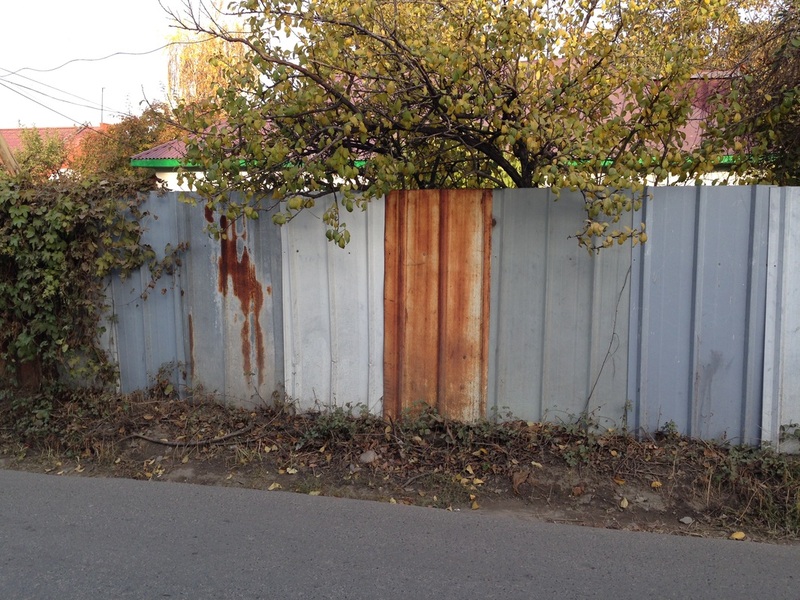 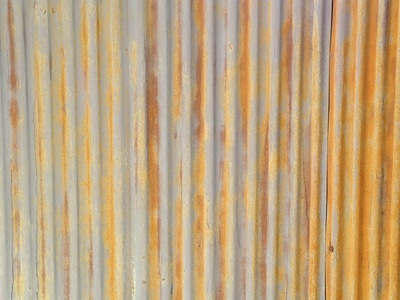 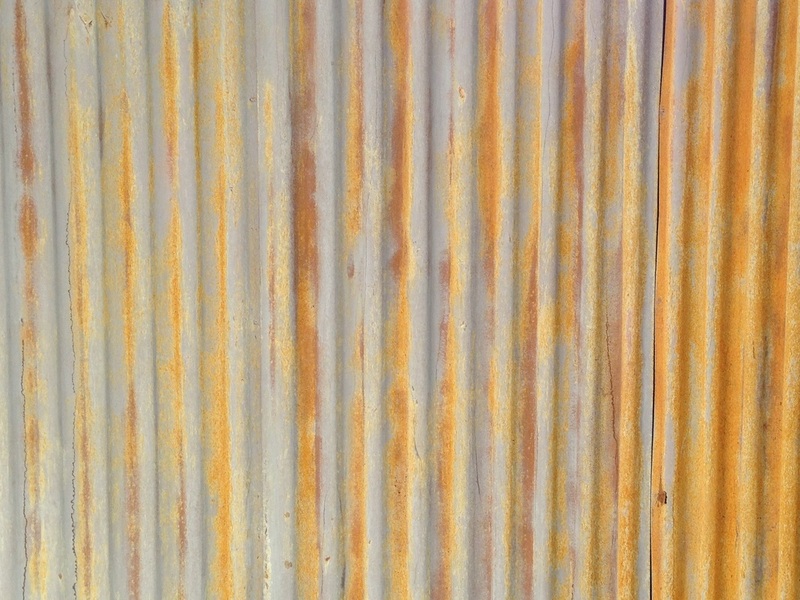 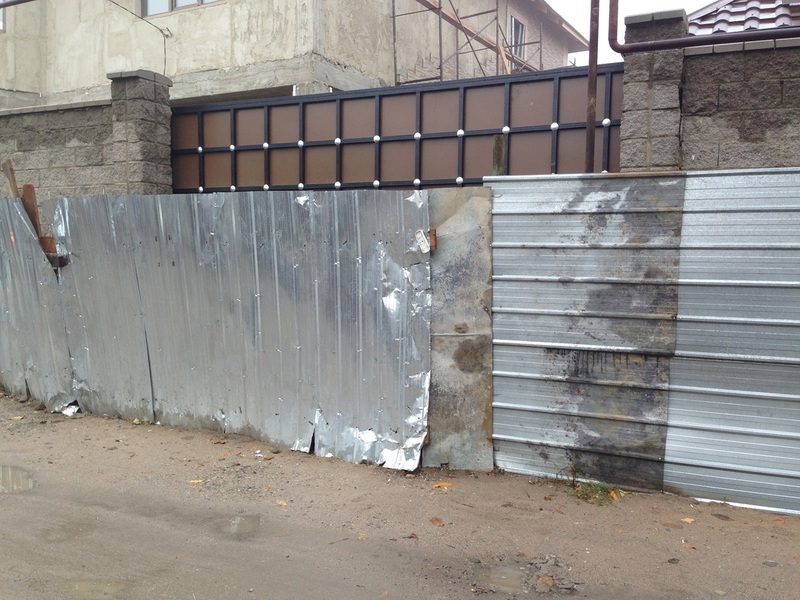 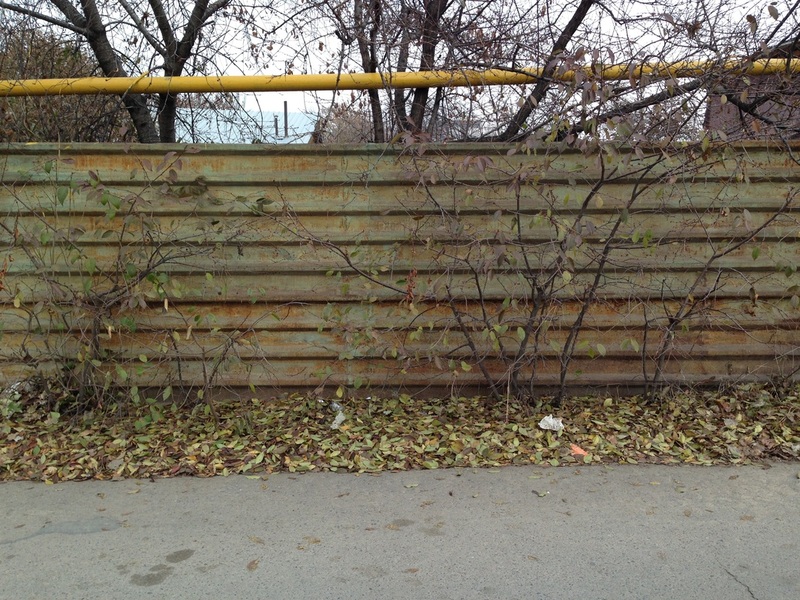 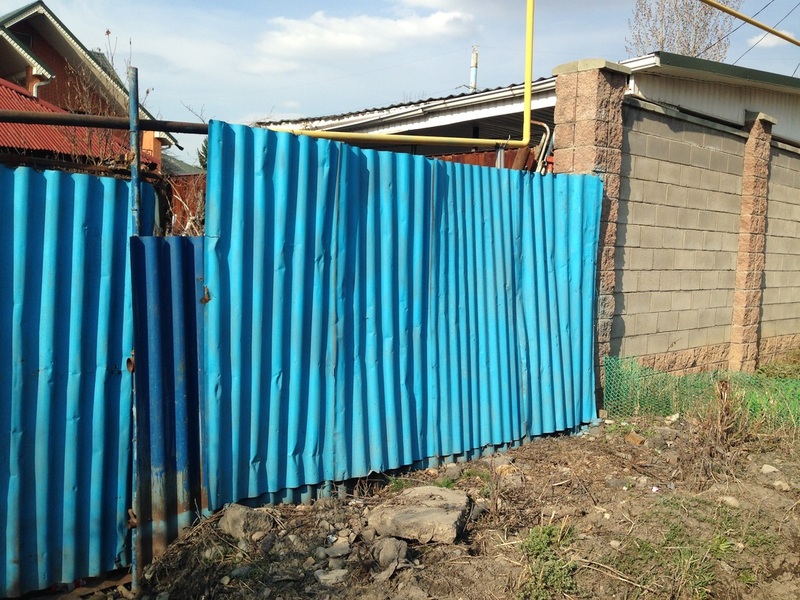 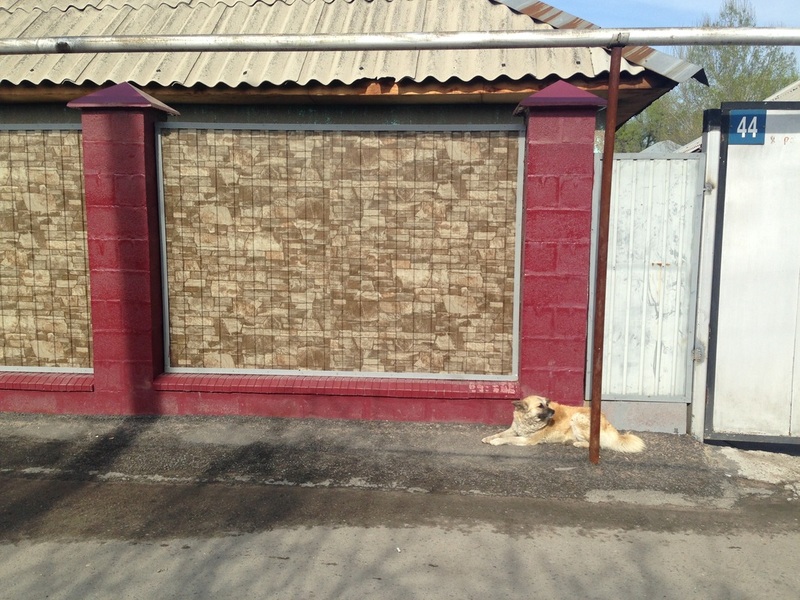 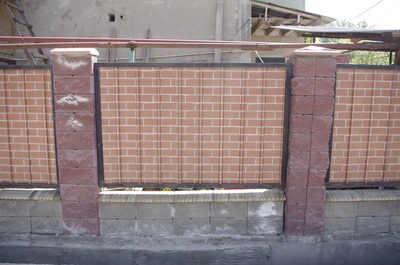 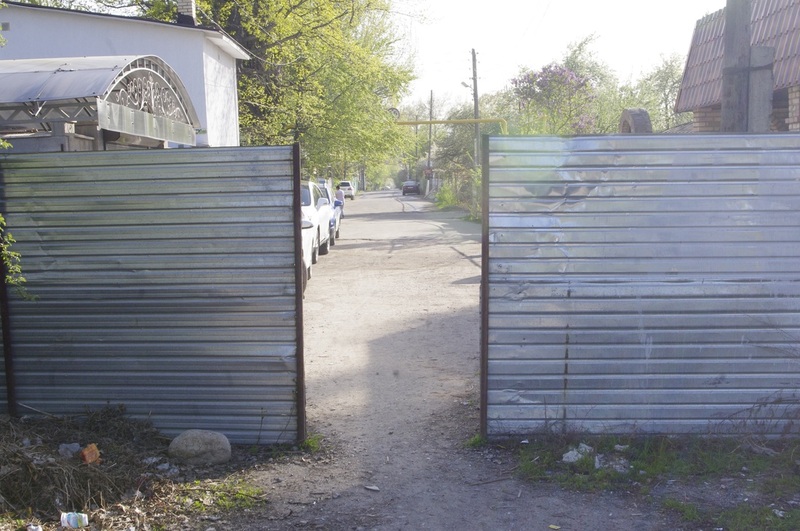 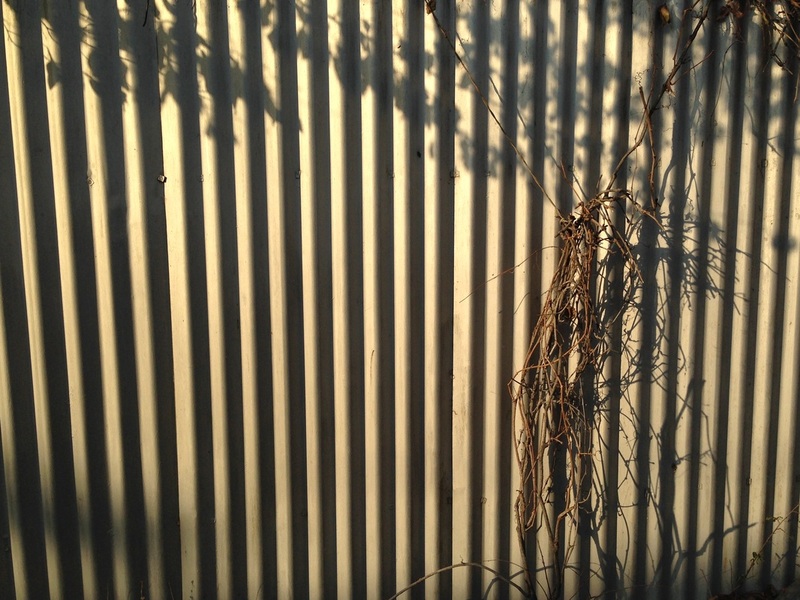 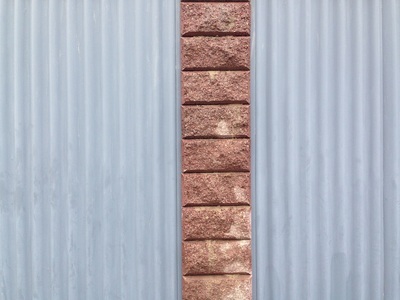 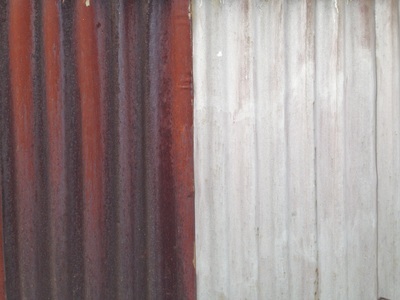 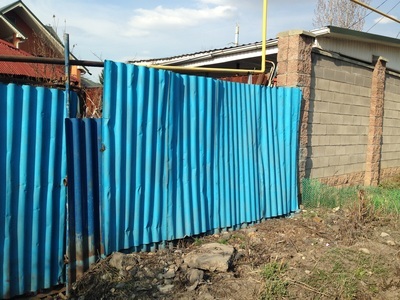 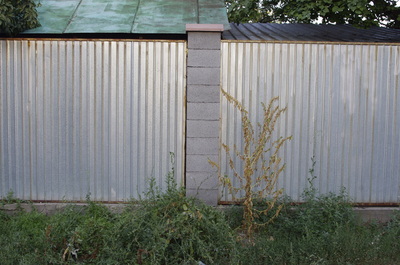 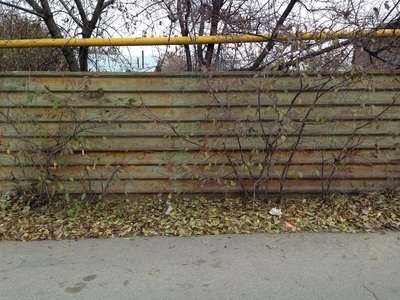 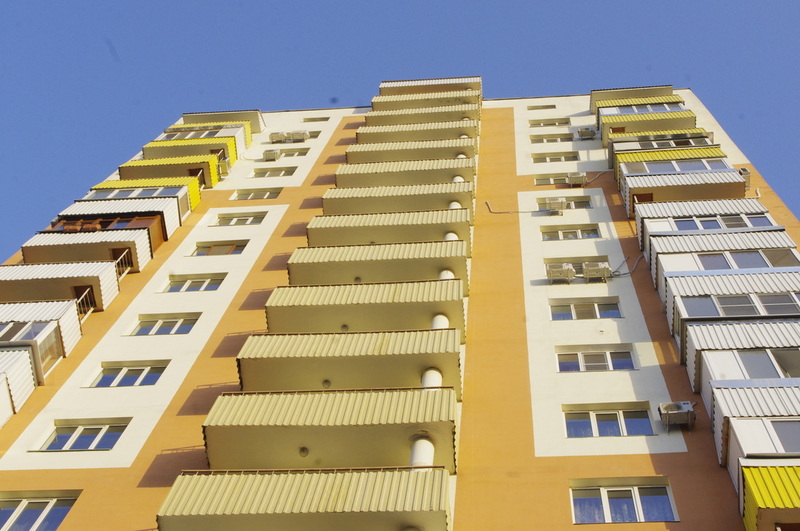 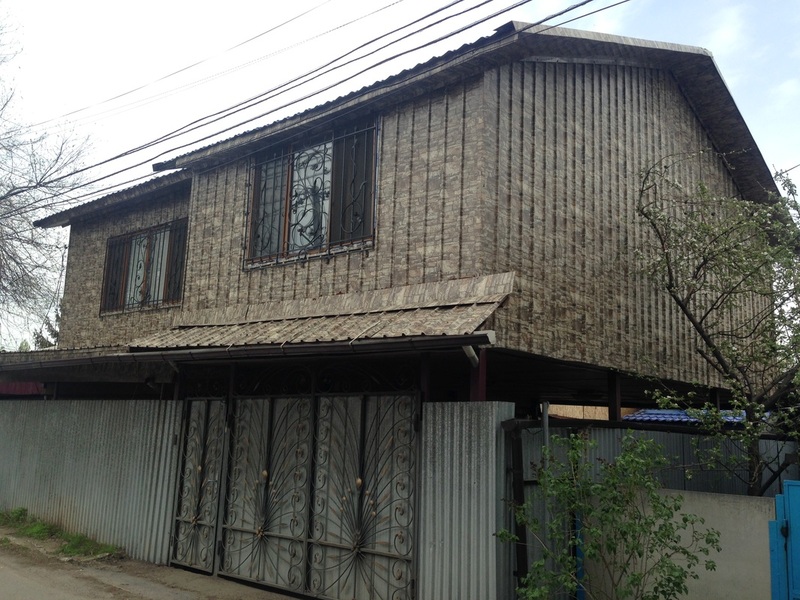 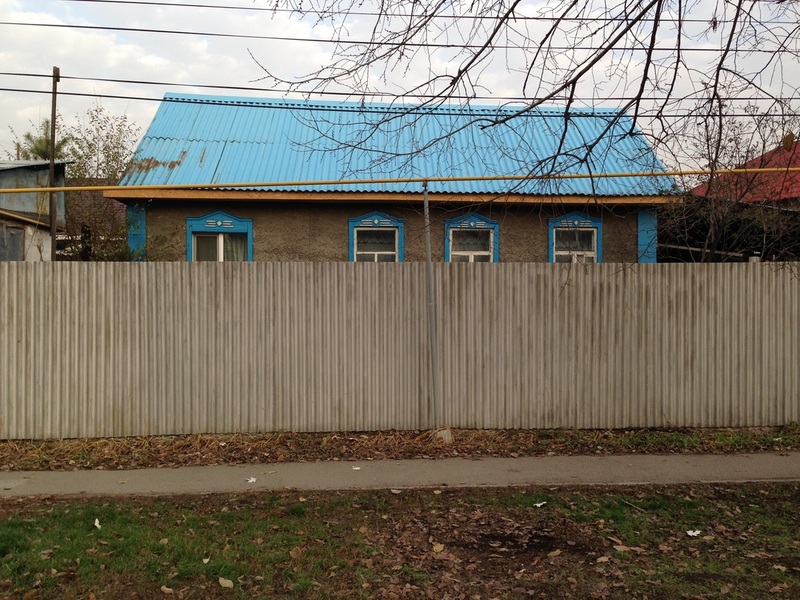 Corrugated metal is by far the most common fencing material in Almaty, surrounding construction sites and private yards alike. 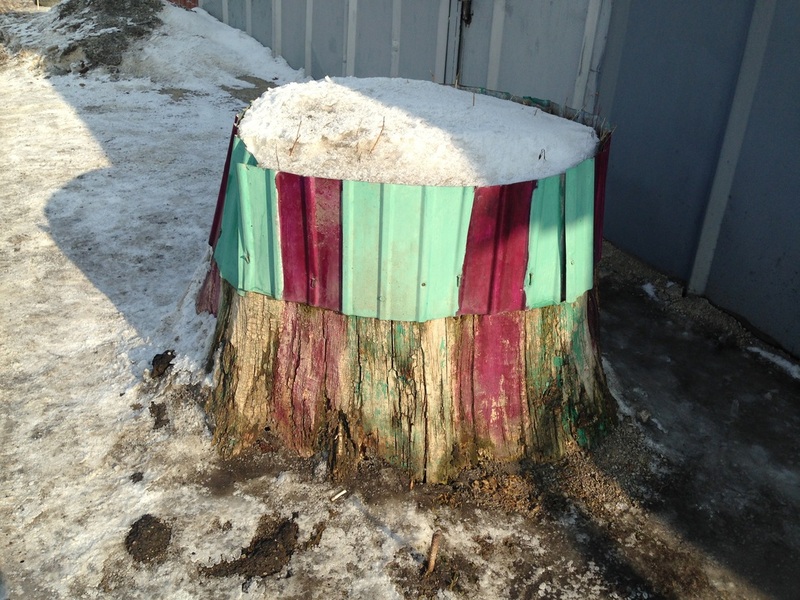 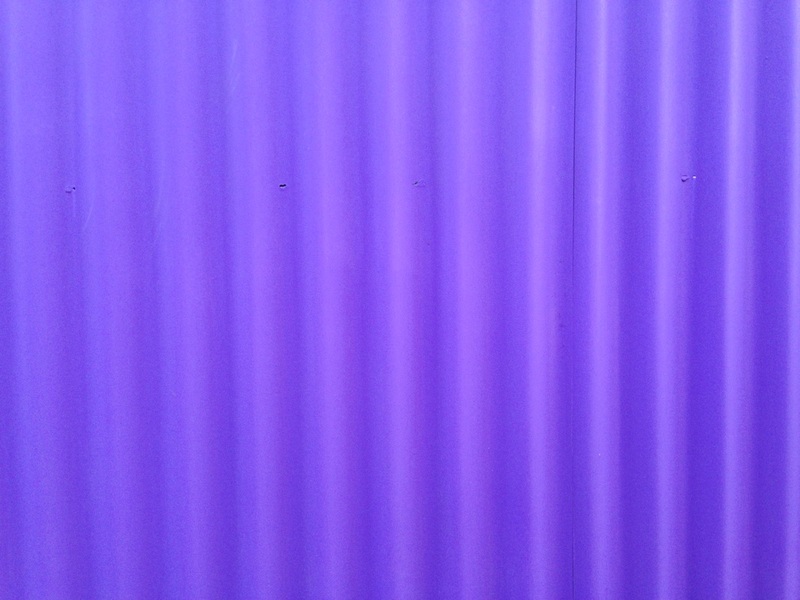 Yet for over a year I hardly noticed it. 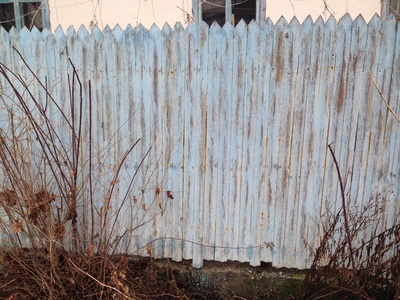 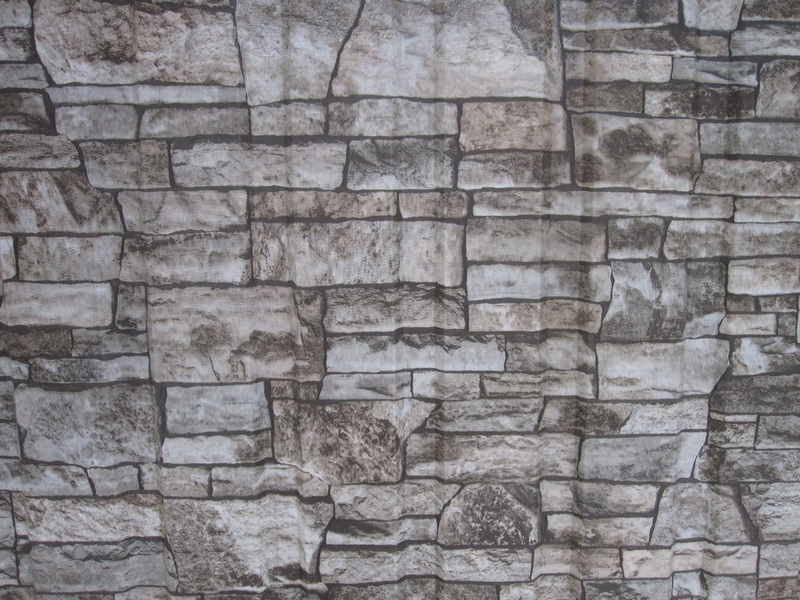 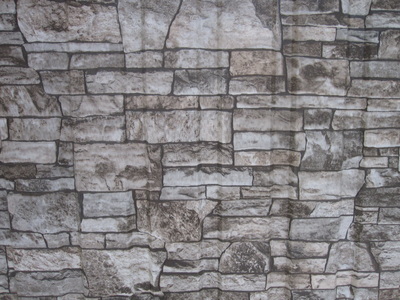 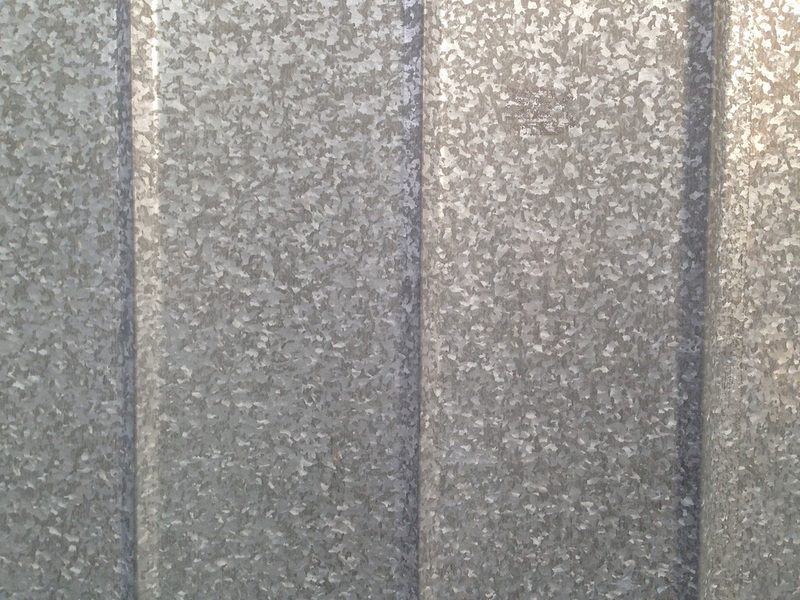 Wooden fences and gates are obviously more charismatic; cinder block walls have dozens of patterns to keep track of; even concrete fences have an interesting design tale behind them. 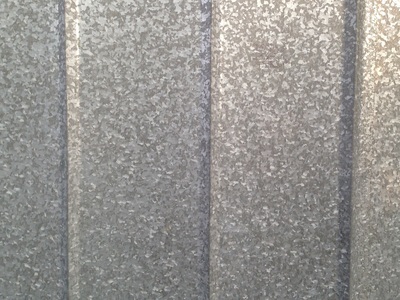 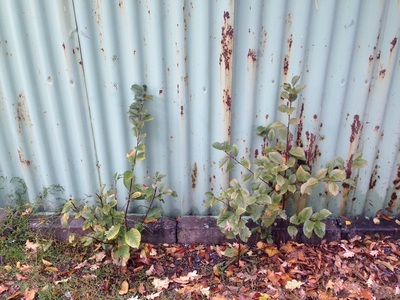 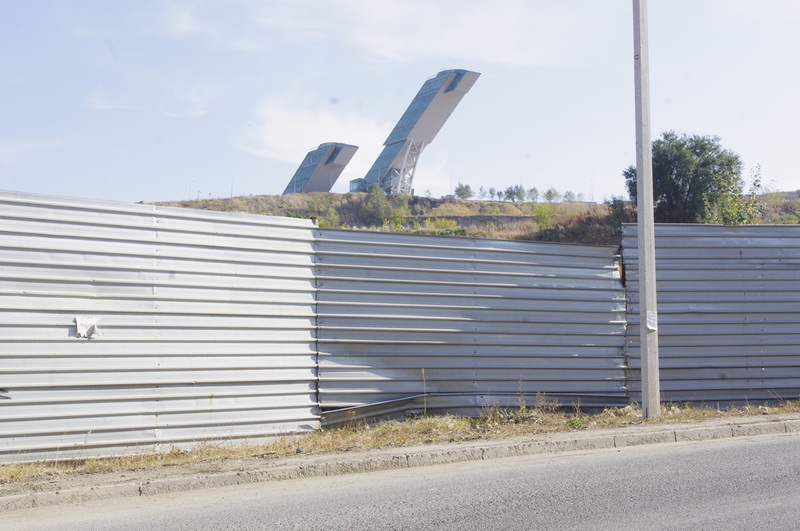 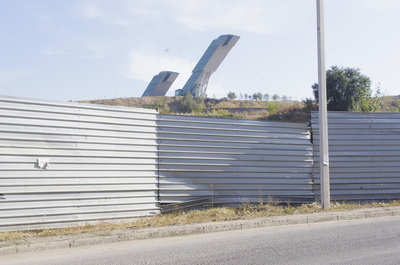 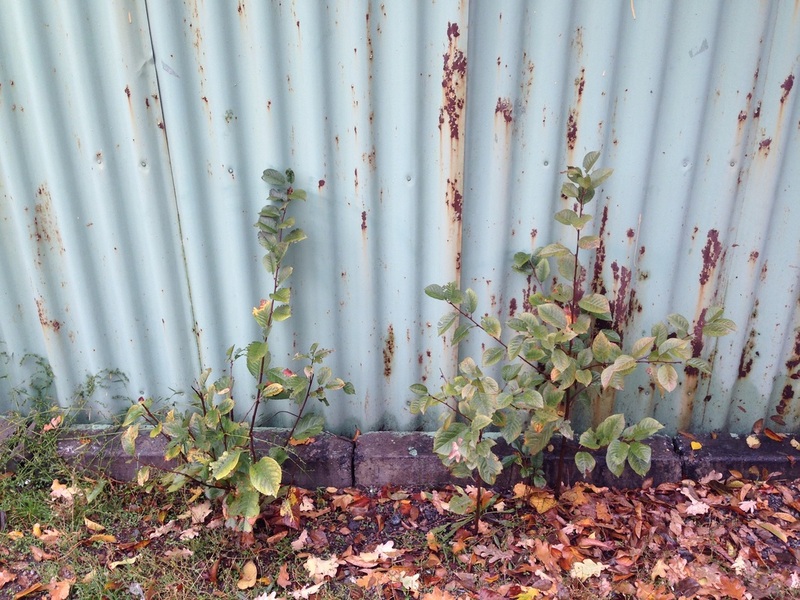 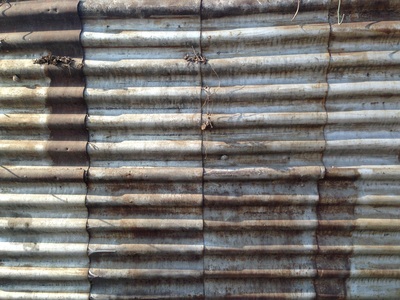 With all that competition for a curious walker's attention, how could corrugated metal stand a chance? I only started admiring these ripply sheets when I realized their true practicality. 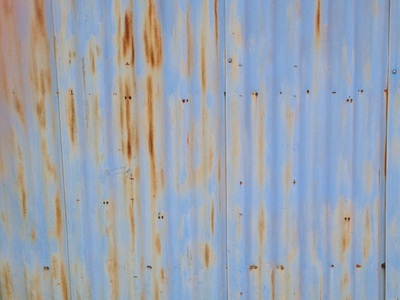 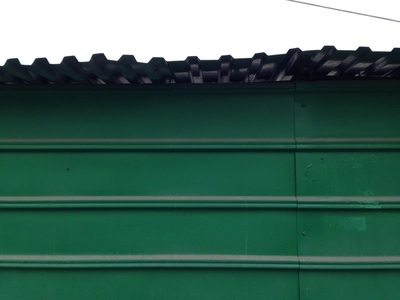 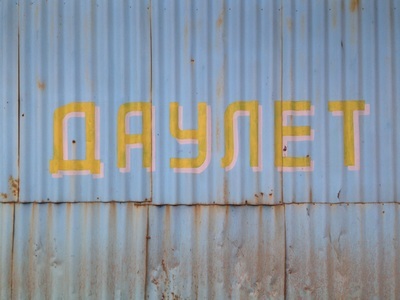 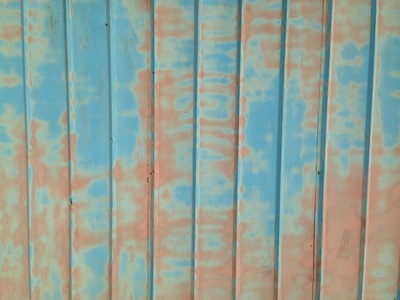 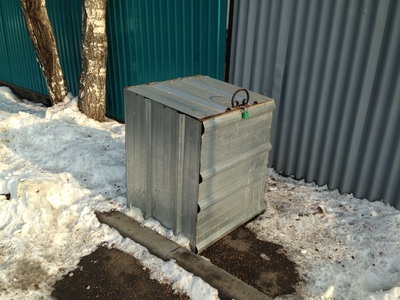 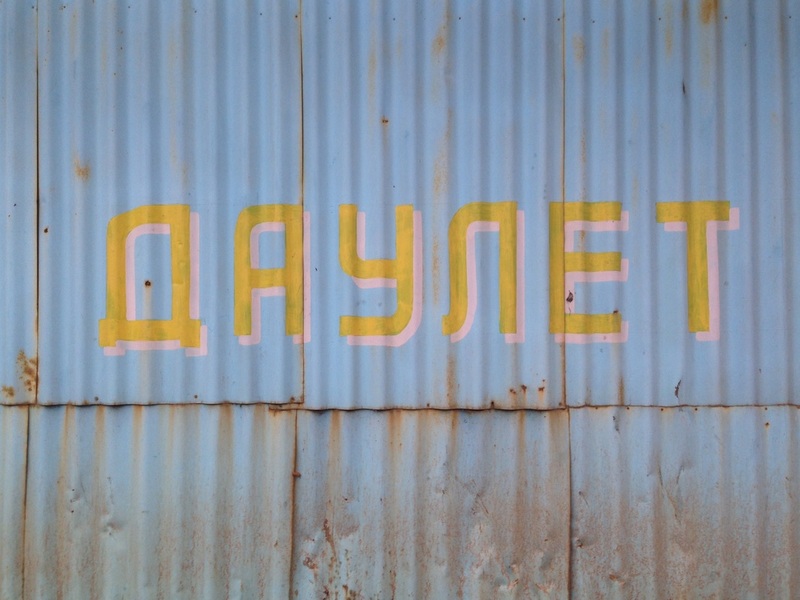 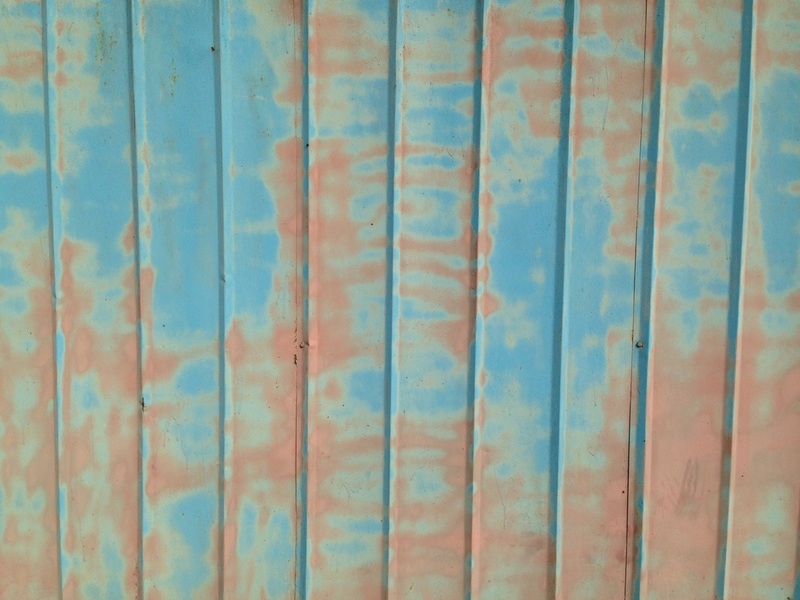 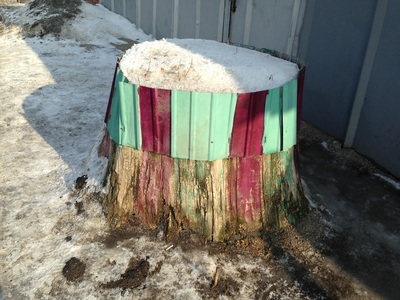 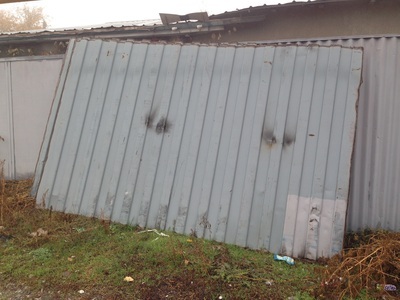 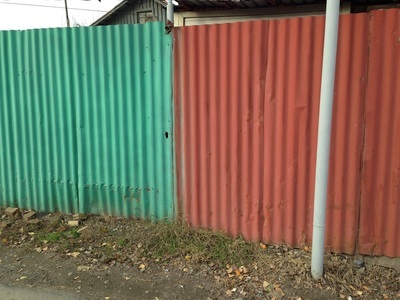 Corrugated metal [proflist; профлист; from profilorovanny list, профилорованный лист] has conquered Almaty because it is cheap, tough, and easy to assemble. 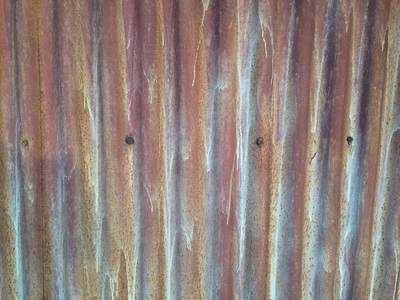 It's nothing more than mass-produced sheet metal (steel or some alloy) that's been run through a die to give it "ribs." 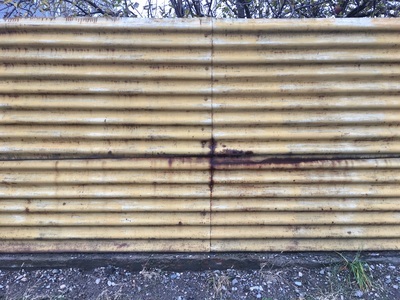 When its corrugated like this, the sheet can no longer easily bend in the direction perpendicular to the ribs, and it can easily hug and overlap other sheets to form a longer surface. 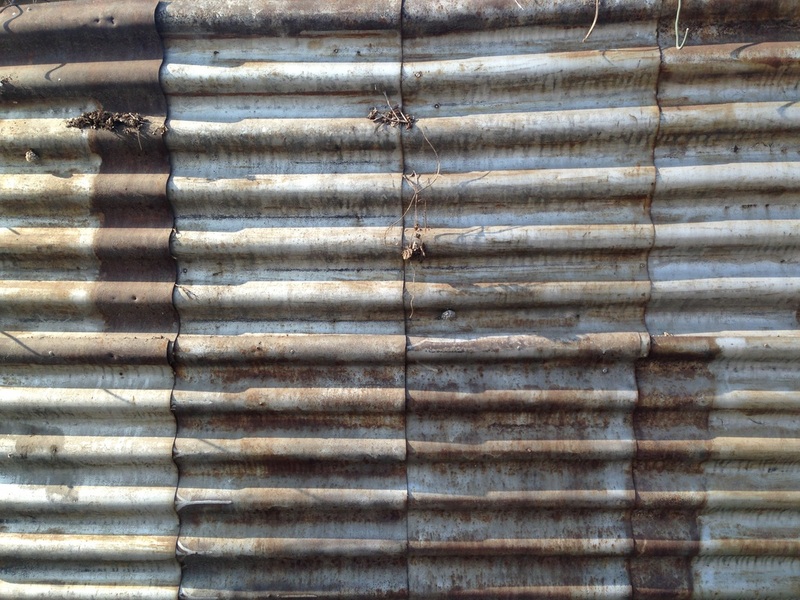 There are exactly two kinds of corrugation, and if you look at them in profile, one will look like a sine wave, and one will look like a series of trapezoids. 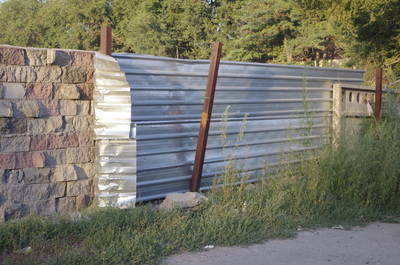 It's the ultimate cheap fencing, endlessly adaptable, but you can also see it used for gates, for roofing, and even for wrapping around balconies. 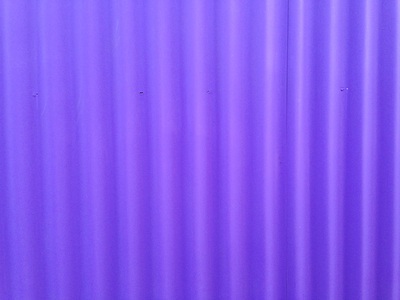 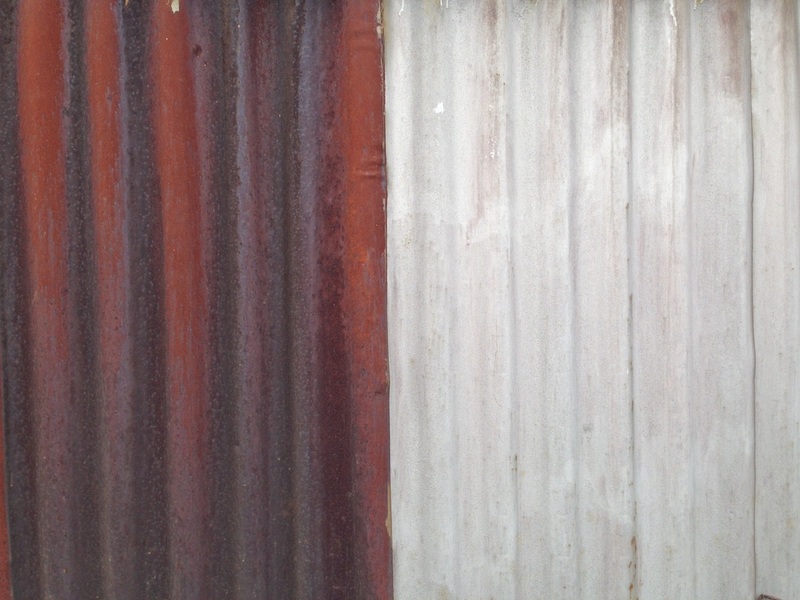 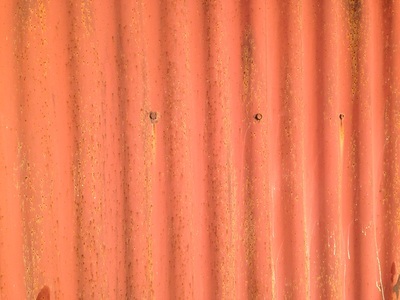 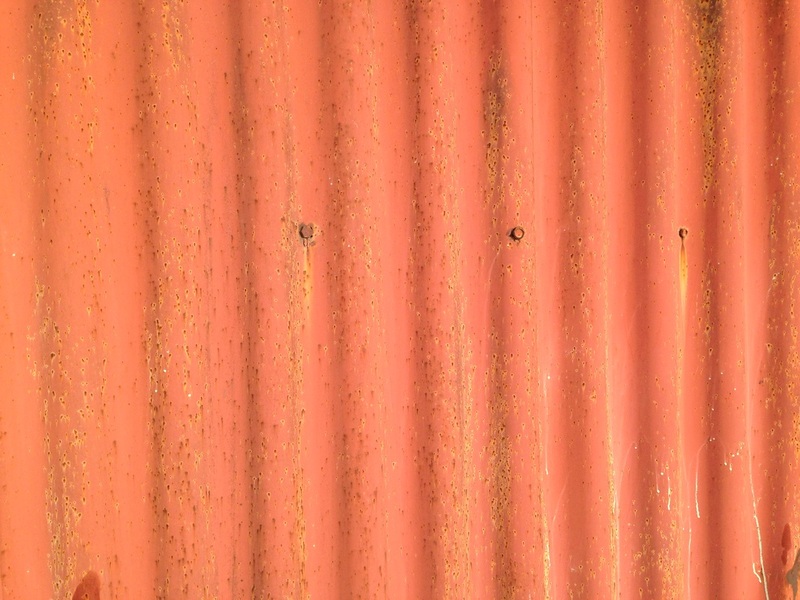 Once you start to understand what it is, corrugated metal is suddenly everywhere. 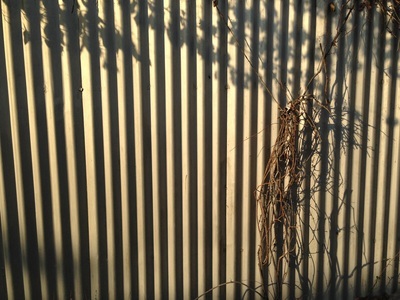 But I will be the first to admit that a shiny sheet of metal can really only hold the attention of a crow. 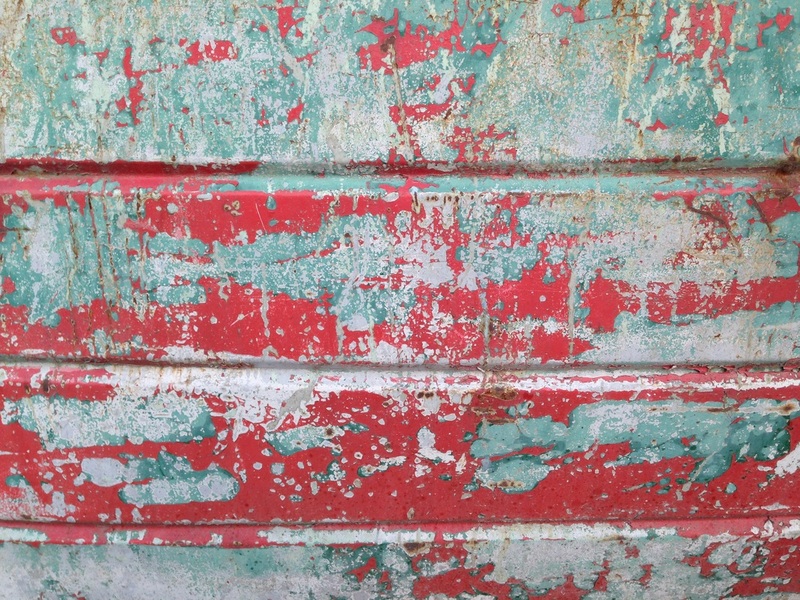 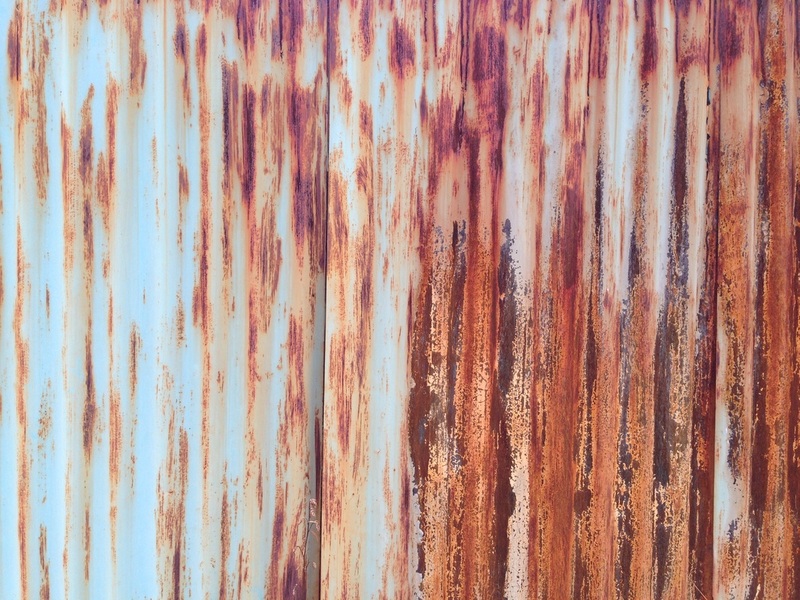 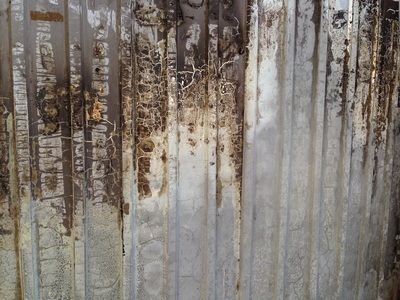 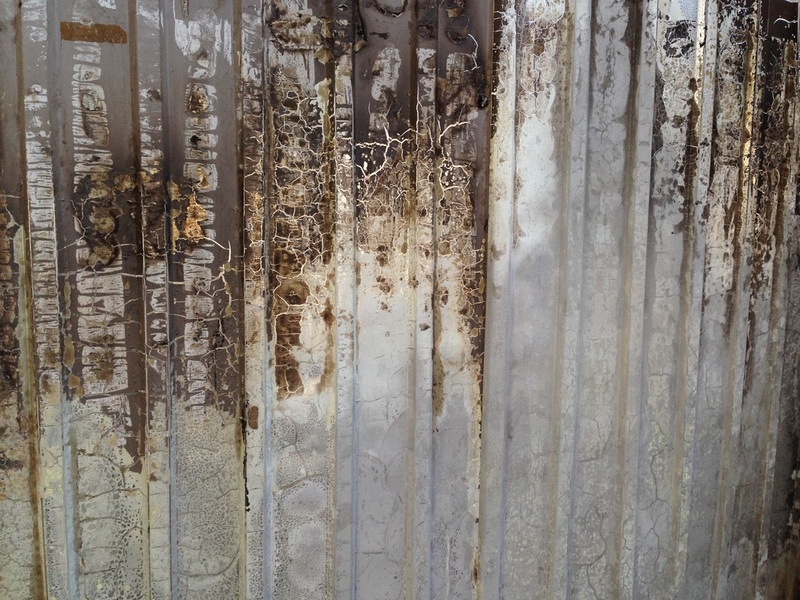 When the steel starts to rust, though, the texture becomes captivating and the fencing gains some character. 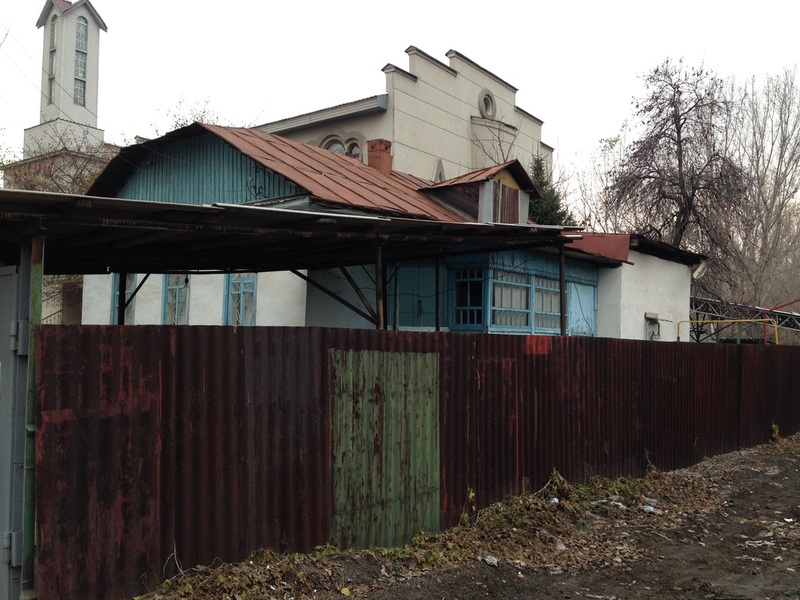 Sweet, sweet dilapidation!